During the second half of the fifth century BC, oratory was an essential skill for a successful politician. This art of persuasive speaking was one of several subjects which sophists, lesser philosophers (with whom Socrates was often identified), offered at a price. Aristophanes' Clouds, performed in its original version in 423 BC, is a witty and merciless satire at the expense of Socrates, which ridicules features ascribed by the man in the street to Socrates and sophistic teaching. Dover's standard edition of the Clouds is now made available in paperback. In punctuating the text and writing the commentary, he has endeavoured to act as a modern 'producer' of the play, in order to bring across the full effect of the drama to the reader. The full introduction, which covers all aspects of Aristophanes' play, from the playwright himself to the manuscript tradition of the text, is followed by Dover's text and apparatus criticus. 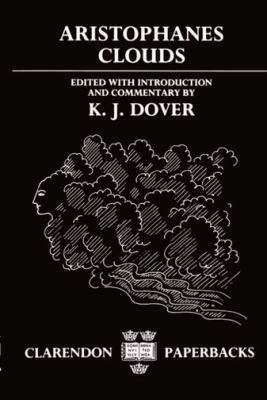 This is supplemented by a detailed and lively commentary, addenda, and indexes.Dover, Kenneth J. is the author of 'Aristophanes Clouds', published 1989 under ISBN 9780198143956 and ISBN 0198143958. Loading marketplace prices 58 copies from $23.98 How does the rental process work?